In January 2018, a new international standard on ‘Security capabilities supporting safety of the Internet of Things’ (Recommendation ITU-T Y.4806) officially came into play. Recommendation ITU-T Y.4806 was developed by Study Group 20 ‘Internet of things (IoT) and smart cities and communities’ of ITU’s Telecommunication Standardization Sector (ITU-T). This new standard classifies security issues for IoT, examines possible threats for security systems, and clears out the safe execution of IoT cyber-physical systems ­supported by security capabilities. Kaspersky Lab, as a member of ITU-T Study Group 20, was one of the contributors to the development of Recommendation ITU-T Y.4806. Kaspersky Lab researchers have shown that non-computing connected devices’ incidents are among the top-3 – incidents with the most severe financial impact1, for both SMB and enterprise organisations, and are going to increase2. In the wake of the recent TRITON attack, targeting industrial control systems, it became obvious that attacks on cyber-physical systems can affect not only the information aspects, but also functional safety. 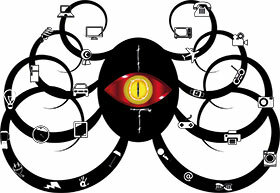 Therefore, in response to today’s growing prevalence of IoT threats and elaboration on crucial industry standards, Kaspersky Lab ICS CERT experts actively contributed to the development of Recommendation ITU-T Y.4806 ‘Security capabilities supporting safety of the Internet of things’3 in order to determine which security capabilities specified in Recommendation ITU-T Y.4401/Y.2068 ‘Functional framework and capabilities of the Internet of things’ support safe execution of IoT. The experts provided up-to-date specific recommendations for IoT framework security. Recommendation ITU-T Y.4806 is mostly applicable to safety-critical Internet of Things (IoT) systems, such as industrial automation, automotive systems, transportation, smart cities, and wearable and standalone medical devices. Additionally, Recommendation ITU-T Y.4806 considers how the joint analysis of threats and security capabilities mentioned therein may be used to establish security requirements for the different applications of the Internet of things. “In the wake of the recent TRITON attack targeting industrial safety systems, it became obvious that attacks on cyber-physical systems can affect not only the information aspects, but also the functional safety. Our aim was not only to plant the flag on the idea of high probability of security breach attacks, but also to determine the methodology for developing specific requirements. We believe that our contribution to ITU-T’s IoT security standard (Recommendation ITU-T Y. 4806) will help organisations develop more efficient cybersecurity strategies to fully face up to modern cyber threats,” added Andrey Doukhvalov, head of Future Techs, Kaspersky Lab. • Insufficient protection of embedded web servers (web applications). • Self-made, poorly implemented cryptography. • Built-in credentials, which are stored in firmware of programmable logic controller and allow remote hidden access with high privileges. • Execution of arbitrary code. To counter the above vulnerabilities, and other less frequent IoT security challenges, recommendations developed by Kaspersky Lab ICS CERT experts describe how to proceed from consideration of the types of impact on the cyber-physical system, to the analysis and modelling of threats to functional safety, and then to the development of recommendations on security measures, illustrating the described method with concrete examples. • To implement reliable and resistant to attacks communication infrastructure and monitoring mechanisms, as well as mutual authentication and authorisation for management and control. • To implement the audit of management and control procedures and attack detection mechanisms. • To implement the mechanism to monitor the load on equipment and communication channels, including the detection of both unintentional overload and denial of service attacks. The full method and list of advice for the protection of IoT critical infrastructures can be found in Recommendation ITU-T Y.4806 (securitysa.com/*itu1).